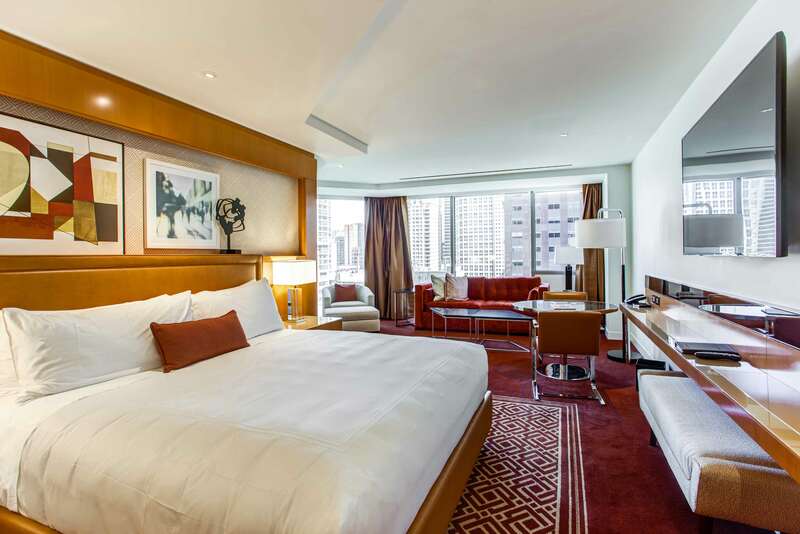 Conrad Chicago | This Spring, Third Night Free! 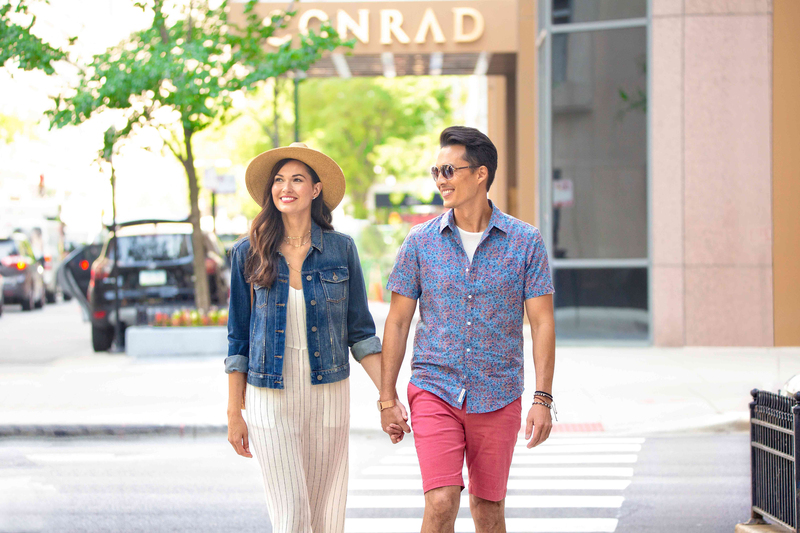 Stay at Conrad Chicago this spring and be steps from the city’s best seasonal attractions. The hotel is conveniently located within walking distance from the city’s best shopping and dining on the Magnificent Mile, Navy Pier’s iconic Ferris wheel, Oak Street Beach and more. Ideal for families and spring break travelers, our 289 specious guestrooms and suites offers a mid-century design style that imparts a warm residential feel. Each room has a plush couch, executive desk, mini fridge, Nespresso maker and a 65-inch TV. Bathrooms are spacious and minimalistic with marble counters and dual vanities that are bookended with a glass-door-enclosed water closet and a walk-in shower. Some suites have freestanding soaking tubs and feature views of the spectacular skyline. All room and suites are intuitively laid out to give guests a feeling of comfort—like being at home. Floor-to-ceiling windows allow 360 degree views of the Chicago cityscape, east facing rooms even allow a view of the Michigan Avenue spring tulips. Venture to the 20th floor and you’ll find the swanky and edgy bourbon-centric concept from Chef Richard Sandoval, Baptiste & Bottle. As the hotel’s signature restaurant, the expansive menu offers a Midwestern spin on hearty American Fare, featuring favorites like Bone Marrow & Oxtail Marmalade, Free Range Bison and the always-popular Lobster Roll. Inspired by the classic American barrel bar, the bar menu features over 100 different whiskies and spirits. In the summer, spend some time in Noyane. 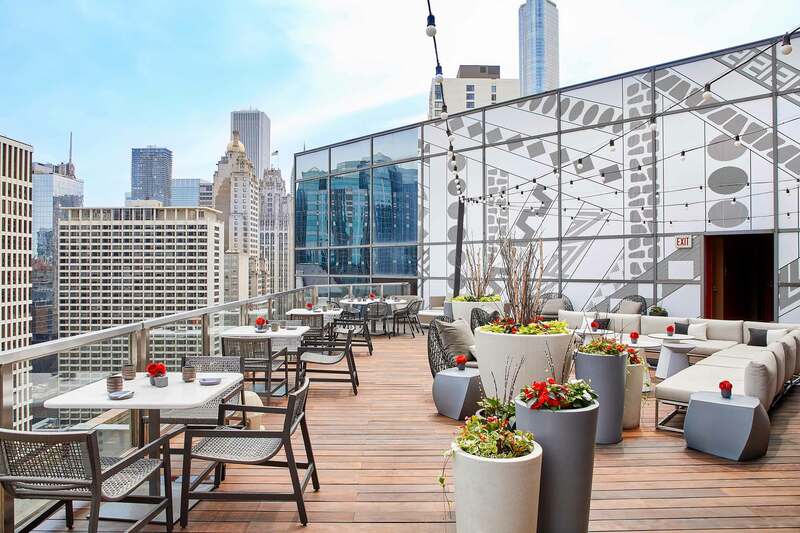 The seasonal rooftop retreat offers spectacular views of the city separated from the hustle and bustle of the Chicago scene. Spend an afternoon sipping on sake, savoring sushi, and soaking up the sun. On-site amenities include a business center and a state-of-the art fitness center. Stop by the concierge desk for customized and curated 1, 3, and 5-hour Chicagoland experiences in the areas of culinary, shopping, art, design, culture, family and adventure. 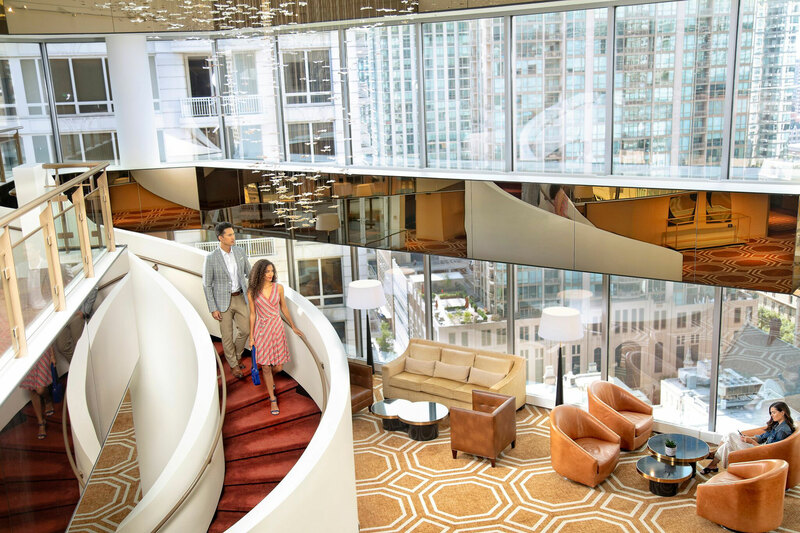 Whether your visit is for business or pleasure, the Conrad Chicago enables guests to experience Chicago through impeccable accommodations and intuitive service. Take advantage of our Book More, Earn More offer now through April 30, 2019! Earn a $100 American Express Gift Card for ten confirmed reservations. No minimum length of stay required, valid on all guestrooms and suites. Visit www.conradchicagohotel.com/travel-agents for details and redemption instructions. To reserve the 3rd night free, please reference code PGFHC1, blackout dates may apply.